The team at the ibis Köln Messe hotel looks forward to giving you the warmest of welcomes. Right side of the Rhine: The exhibition center and Cologne Arena, two of Cologne's most famous attractions, are on the right side of the Rhine in the Cologne district of Deutz, both a short walk away from the ibis Köln Messe hotel. Cologne's old town is within easy reach by walking over the Hohenzollernbrücke bridge or taking the S-Bahn (city rail). 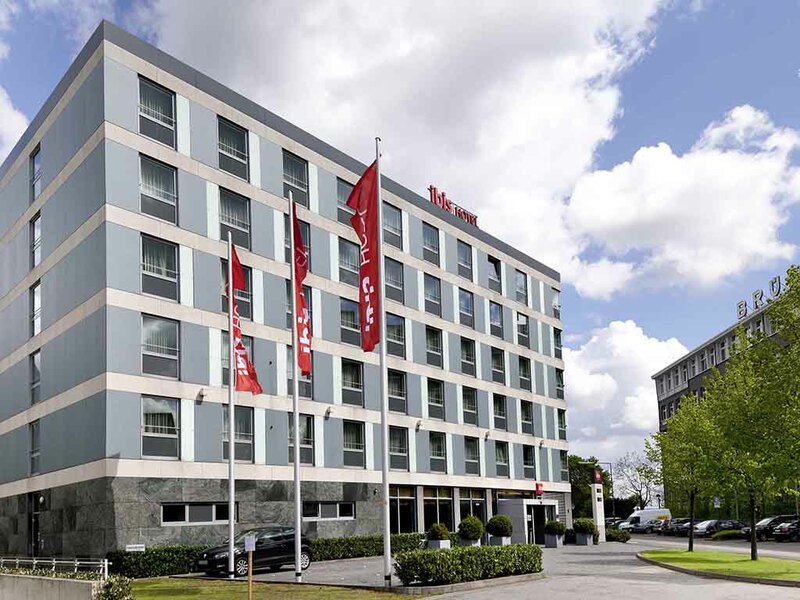 The 180 rooms of the ibis Cologne Messe hotel feature Sweet Bed by ibis beds for an unrivalled level of sleeping comfort. With soundproofing, air conditioning, a desk for your office on the go and free WIFI. TV with a wide range of Sky channels. As a visitor to Cologne, you don't want to miss the opportunity to try a Kölsch beer. At our bar, you can sample one 24 hours a day. As you would expect, we also offer other drinks as well as snacks and crispy paninis, plus live sporting events on Sky!